Colleges That Offer Private Online Virtual High School Programs. There are many parents and students who like to think ahead when choosing an online school. Parents, of course, want the best for their student’s future. 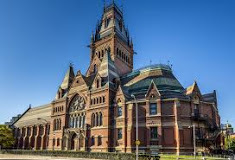 Being that college goes hand in hand with high school, it is important to pick the best online high school with college in mind. This page is a list of online schools that are perfect for people with those exact goals in mind. Lots of online school programs today lets your student get a head start while in high school through their “Dual Enrollment” programs. Dual Enrollment means that your student can take their high school classes and their college courses at the same time, allowing the student to get a head start and sometimes a two year degree straight out of high school. There are a lot of online schools with such programs in place. We have looked at a lot of these schools for the best ones to list and have come across some very good programs. First school listed is a well known college, Stanford University. We found that Stanford has its own online high school program for students that qualify. Stanford Online High School describes themselves as a school with students that are, gifted, intellectual risk takers, engaged in significant pursuits beyond the classroom. Stanford’s students come from 45 U.S. states and 27 countries from around the world. Through assessment, Stanford Online High School places students by ability and not grade level. Sixty eight percent of Stanford’s instructors have a Ph.D. in their respective fields that work closely with students. The average class size is 15 students, half of what you would find in a normal brick and mortar school most times. Students can also take part in forty student-lead organizations. Stanford Online High School only services grades seven (7) through twelve (12) with a yearly tuition cost of Full-Time Enrollment (4 or more courses) at $19,950. Stanford Online High School also has Part-Time Enrollment (2–3 courses) for $12,400, and single course options with a cost of $4,150. Tuition does not cover books, course materials, and extracurricular expenses for event attendance, yearbooks, etc. Stanford Online High School offers options like, Middle and High School summer programs, that you may want to check into. One of the points that caught our attention is the fact that Stanford has Financial Aid and Scholarships with around fifteen percent of the students receiving financial aid. The scholarship program is offered through the Malone Scholars Program. Founded through the Malone Family Foundation in 1997. You can check out all this information along with more in the link we provided below to this great Online High School. Ashworth College offers an online high school through James Madison High School where your student can take part in their College Prep High School courses allowing them to move from their online high school directly into Ashworth College. James Madison High School offers an accredited 9th through 12th grade program with state certified teachers that work along with parents and students to provide exceptional academic support. Teachers and academic advisers are able to work with students through live chat, email, and general discussion forum. Your student is also assigned a learning advocate to address any personal concerns and answer any questions parents or students may have. Students at James Madison High School can connect with other students on their Facebook, Twitter, and other social network pages. There are also available career service advisers that help strengthen interview skills through mock interviews and strategy development, along with building a resume and other such. You can learn about this great program through the link we are posting below. Liberty University has an Online Virtual Academy with many wonderful options that will fit most any student’s needs. From basic classes to dual enrollment courses, that allows your student in their junior and senior years to take, along with their core high school classes, some college courses. Each of these college courses your student completes is worth half a credit for their high school and three credits toward their college. Liberty University Online Academy is a fully accredited Christian program where teachers are responsible for the home school curriculum along with the academic well-being of each student. Teachers are licensed in their state or may hold an advanced degree in their subject area. Parents do play a large, active roll in their student’s education by working with their teacher. If your student chooses to go the route of dual enrollment, he or she will also have access to their own personal academic adviser to guide them as they go. Liberty University Online Academy has a program that services grades K-12 with prices that vary…click Tuition and fees for additional pricing information. Prices for the high school credits along with the dual enrollment credits, at up to five credits a year, are $495 each. There are other fees. You do get a 20% discount if you have more than two students enrolled. Liberty University Online Academy also has an interest free payment plan that you can see via their website. Your student can stay connected with other students through the school’s social network pages they have at Facebook and Twitter. This is a great school with lots of options to fit most any student or family. You can find out more on their website by clicking link below. Indiana University offers a fully accredited virtual high school program online, accredited through the North Central Association and the Commission on International and Transregional Accreditation, accrediting divisions of AdvancED, the biggest accreditation group. 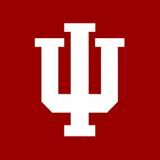 Indiana University High School supplies the subjects and course learning material. You do have help available through resources such as, Rose-Hulman Institute of Technology’s Homework Hotline, and Eric Weisstein’s World of Science , along with a large online library. Indiana University High School offers all the core basic courses along with several advanced placement courses that will help prepare your student for college. The courses are written and taught by licensed, certified teachers. Courses currently offered are AP Language and Composition, AP Calculus, and AP U.S. History. Tuition and Fees are reasonably priced at $154.64 per course plus some low cost fees. You can see all this information and everything you need to know about Indiana University’s Online High School program from the link provided below. The University of Texas at Austin offers online high school through its University Of Texas High School program. The Texas Board Of Education authorized the The University of Texas at Austin High School as a public school and they adhere to Texas state requirements. With over sixty courses to choose from including basic core, advanced, accelerated pace, along with dual enrollment–subject to approval. Your student should have no problem finding classes to fit their needs. Students are also provided with a college planning guide to help your student to start planning for his or her college future. Each course is thought by a Texas certified teacher that you are able to communicate with through a Message Center the school provides. There is also a free Tutoring Service for math and science classes set up through the University of Texas High School. With a course price of only $195, the University of Texas High School prices are more than reasonable as compared to other online schools available. You can check out their website through the website below. BYU has a college program through their BYU Independent Study Online Courses program. You will find a standard program along with an advanced program that will allow your student to prepare for college or the job market. Students are not offered a diploma in this program but they are issued an official transcript that will help them apply to other colleges or universities. BYU Independent Study’s High School program is accredited by the Northwest Accreditation Commission, a division of AdvancED, the biggest accreditation group in the world. With this accreditation, your student’s credits should transfer with no problems. It is best to check with any other colleges or schools you plan to enter to see if credits will, indeed, transfer. BYU Independent Study Online Courses does offer teachers that are accessible via phone, email, and live chat. These courses are self passed and offer students a chance to interact with each other, as well as, allowing students to learn at their own pace. Students on average perform better with this type setup as compared to the average brick and mortar school where the teacher’s attention is divided between 25 to sometimes 30 students and more. BYU Online Courses has in place a scholarship program that allows any student with an B average or above to receive one free scholarship course with every five completed. See Scholarship Awards Program. You can expect the teacher lead courses to cost $249 per half credit. There are other options and fees. You can find all the information regarding tuition here. Tuition and Fees. For whatever your student may need for his or her studies, BYU Independent Study Online Courses should fit your needs. You can find all this information along with contact information by clicking link below. 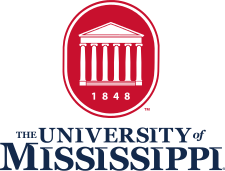 The University Of Mississippi offers a high school program that is accredited through the Southern Association of Colleges and Schools Council on Accreditation and School Improvement, a division of AdvancED, the largest accreditation group. In order to be accredited through AdvancED, your school must keep up to date with high standards that keeps the school improving as they go. This program is set up to where students and teachers access their assignments through a service called Blackboard. Blackboard is a paperless interface and allows students and teachers to submit and return documents electronically. For print-based courses, students also have the option to mail, email, or fax written assignments to the UMHS. The University of Mississippi online high school program offers several core classes along with advanced placement classes to fit your needs and they also offer SAT and ACT prep. This school is affordable with core courses priced at $375 and AP courses at $425. You can see all of this information by clicking link below for school website.